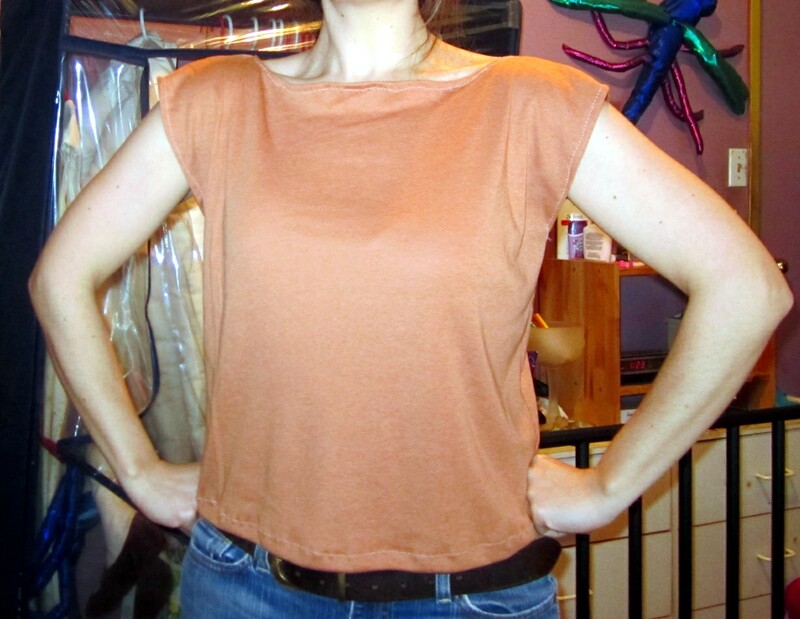 This is a tutorial for the easiest shirt you’ll ever make. 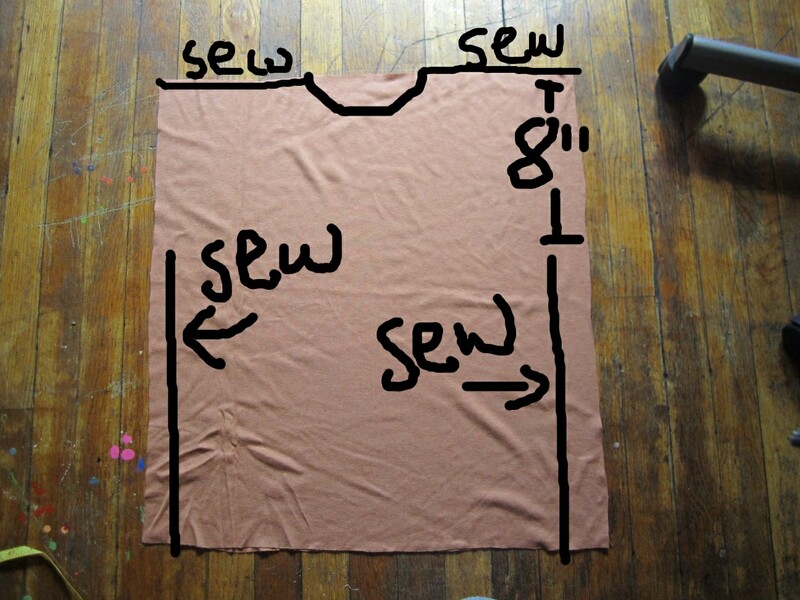 Take two squares of fabric that are as wide as your bust measurement + 3″ and as long as you want your shirt to go (you can measure the length of your favourite shirt to get the right length) + 1″. Make sure it stretches horizontally! 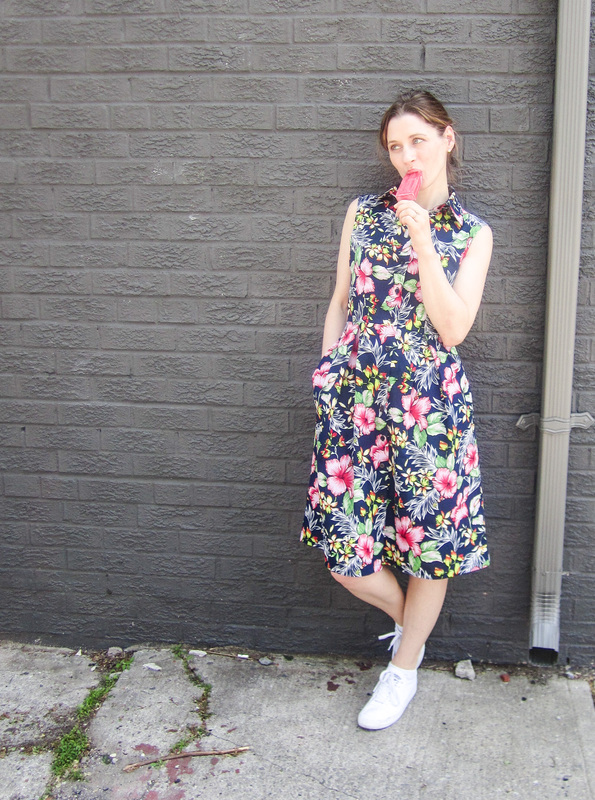 Cut out a little neckline for yourself. Mine’s half the width of the folded fabric. 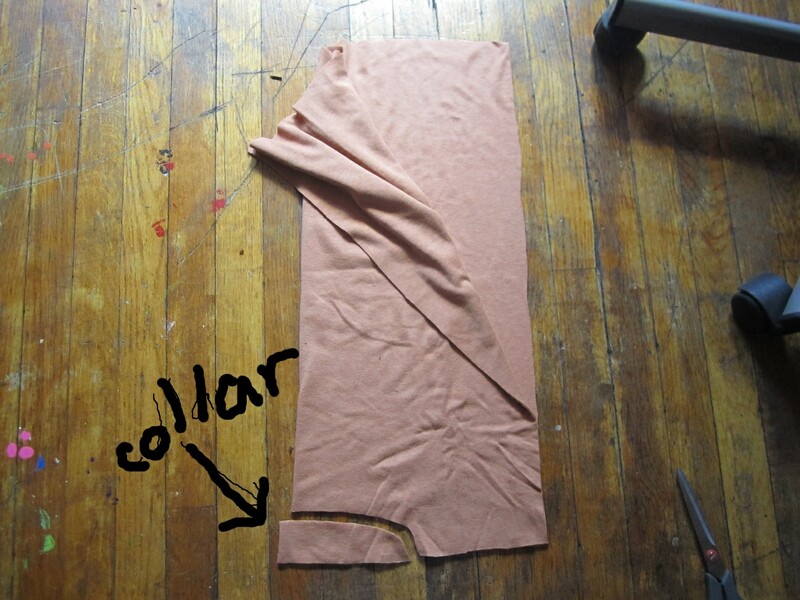 Unfold and sew along the shoulders and edges (starting 8″ down from the shoulder). I probably could have used fewer pixels on that paintbrush. Oh wait – that scoopy part at the top centre – that’s the neckline, don’t sew that part!!! Hem all the raw edges (sleeves, collar, bottom). 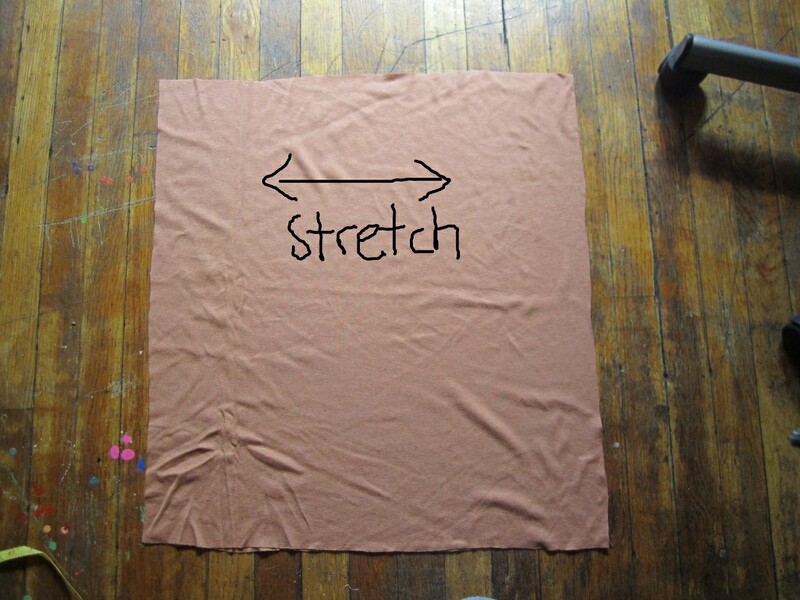 You can use some nice drapey fabric so that your shirt hangs well. Or you can use whatever cheap crap is laying around your home, I don’t judge your life.